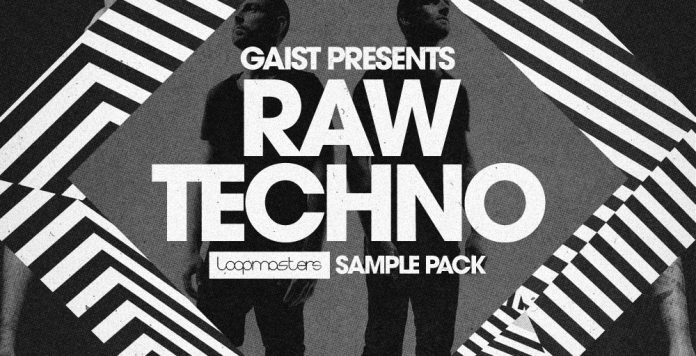 Loopmasters bring you Gaist Presents Raw Techno – a sinister blend of Royalty Free Techno samples to give your music a dark, brooding edge. Created by music industry sure-shots GAIST, direct from the UK through the ether to your speakers! United by a passion for driving rhythms behind the darkest techno, GAIST have taken their inimitable sound across the globe – catching the attention of some of the scenes biggest and most revered names. The pair have been supported by a number of artists including Thomas Schumacher, Stacey Pullen and Joseph Capriati, as well as the legendary Claude Vonstroke who immediately charted their track, ‘Kode’, and playlisted it in his sets. This release went on to spend seven weeks on the Traxsource Top 100 Techno Chart. GAISTS continue to push the boundaries of Techno and beyond! Inside the pack you’ll find a wealth of moody Loops and One Hits to build the atmosphere and raise the tension. Drum Loops are divided into a number of matched kits, and come in variations of Tops, Claps, Sub Kicks, Fill Mixes and more. Dark, eerie Synth and Bass Loops are also included, and key labelled for instant integration in your track. Bass, Synth and Drum One Hits from the dark side are provided in WAV form and as Sampler Patches. The intricate FX Hits will add a subtle twist to the early magic hours. GAIST have managed to keep their name as mainstay of techno charts across all of the major outlets, with releases on DanceLab Recordings, Dualism Records and their own imprint, Kontakt Rekords, Having showcased their sound across the globe at We Are FSTVL, Sankeys Ibiza, Zoo Project festival, Zoo Project Ibiza and the WMC in Miami for the last three years running, it’s impossible to ignore the uncompromising energy they have.